The department of Chemical Engineering of the VUB has the ambition to stay at the forefront of the research on liquid chromatography and adsorptive separations, and expand its activities into other areas of low-energy cost liquid-phase separation techniques, such as membrane separations and micro-scale extractions. Nanoporous materials find widespread applications in our society: from drug delivery to environmentally friendly catalysis and separation technologies. The efficient design of these processes depends crucially on understanding the mass transfer mechanism. This is conventionally determined by uptake or release experiments, carried out with assemblages of nanoporous crystals, assuming all crystals to be identical. Using micro-imaging techniques, we now show that even apparently identical crystals (that is, crystals of similar size and shape) from the same batch may exhibit very different uptake rates. 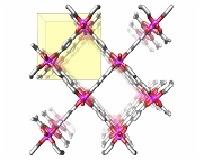 The relative contribution of the surface resistance to the overall transport resistance varied with both the crystal and the guest molecule. 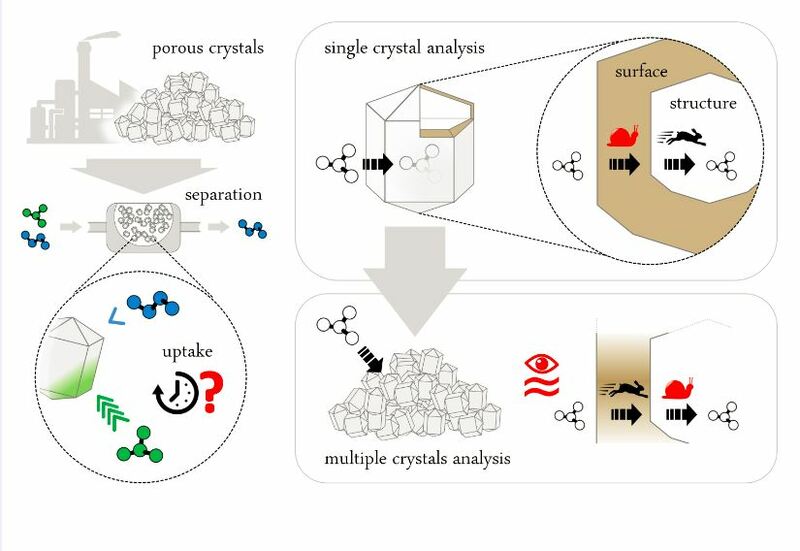 As a consequence of this crystal diversity, the conventional approach may not distinguish correctly between the different mass transfer mechanisms. Detection of this diversity adds an important new piece of evidence in the search for the origin of the surface barrier phenomenon. Our investigations were carried out with the zeolite SAPO-34, a key material in the methanol-to-olefins (MTO) process, propane–propene separation and adsorptive heat transformation.